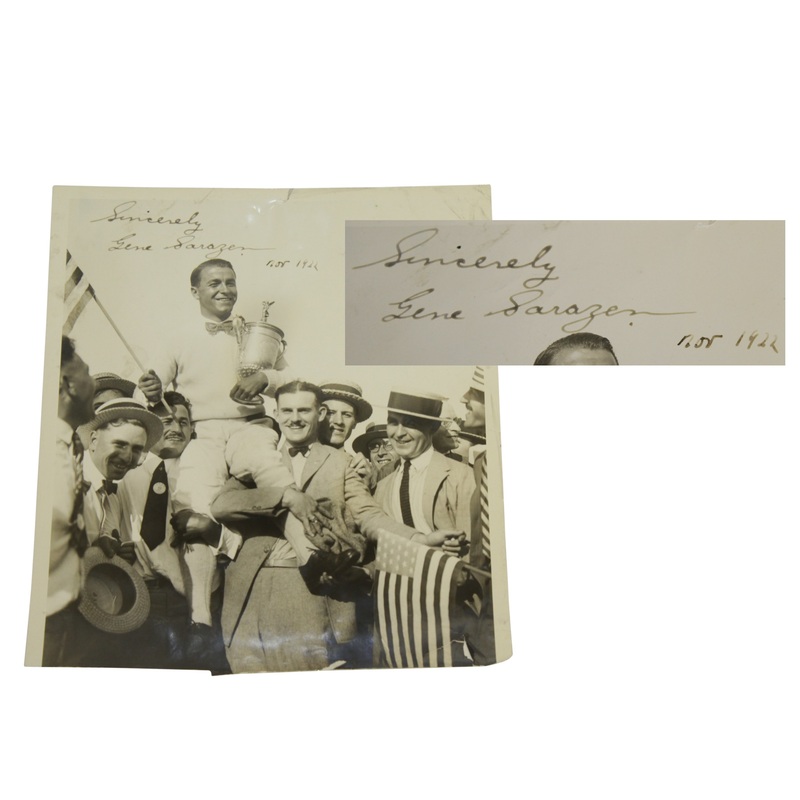 Towards the end of Gene Sarazen's life when "The Squire" signed his name for a fan he would often inscribe the year penned to the bottom right of his signature. After seeing quite of a few of these, it is apparent he was extra generous with his autograph in the 1980's and '90s. For this lot we step back over a half century in time, the year was 1922. 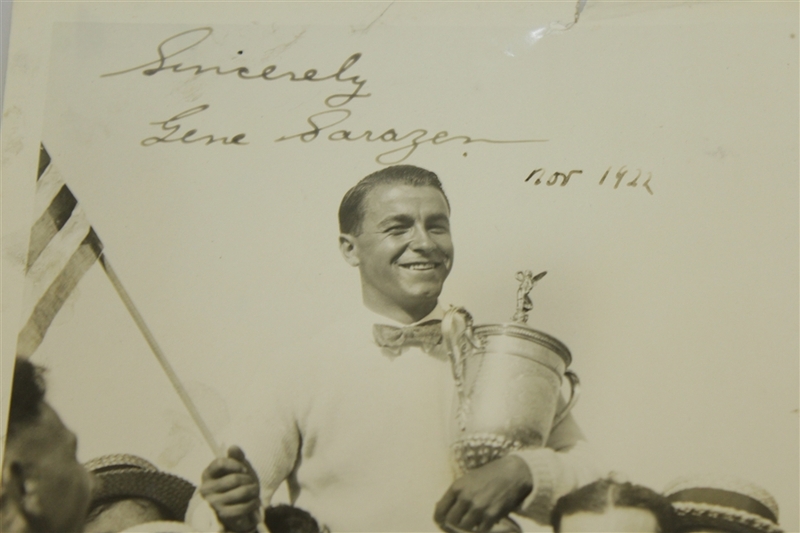 Sarazen, a green 20 year old American club professional took a much needed leap of faith that would change his life and the history of golf as we know it. For the first time he would play in a professional golf major, but to use the word "play" would be to sell him short. After working with a fellow tour player on the side for a couple months he felt ready for the contest at Skokie Country Club, that years U.S. Open. He exceeded expectations that week in July 1922. Coming storming back from four strokes behind to win the tournament, his coming out party on the golf course actually paled in comparison to the one that was thrown for him after that monumental tournament. In this original wire photo from the celebration that occurred, Sarazen is carried on jubilant spectators shoulders holding his prized U.S. Open trophy with a matching American flag, hero of the day in his first major triumph. Perhaps they knew what was to come of the young golfer's career, but most likely they were relishing the moment. Adding value to first generation crystal clear photo is that Gene himself signed it with vintage fountain pen ink. 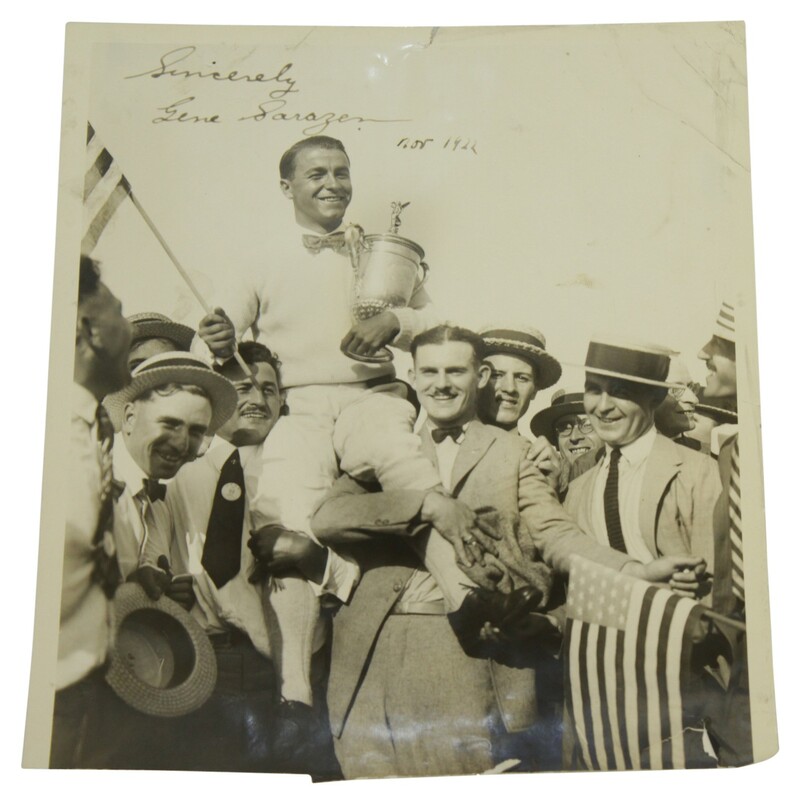 The signature which has been added to this impressive image is even more meaningful when it is noted that it carries a dating of Nov. 1922, the year of triumph. 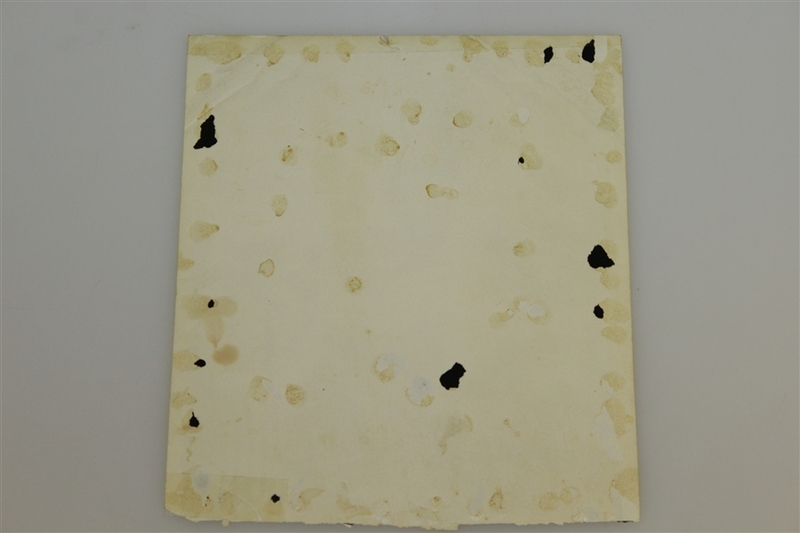 The photo measures 8" x 9 1/4." 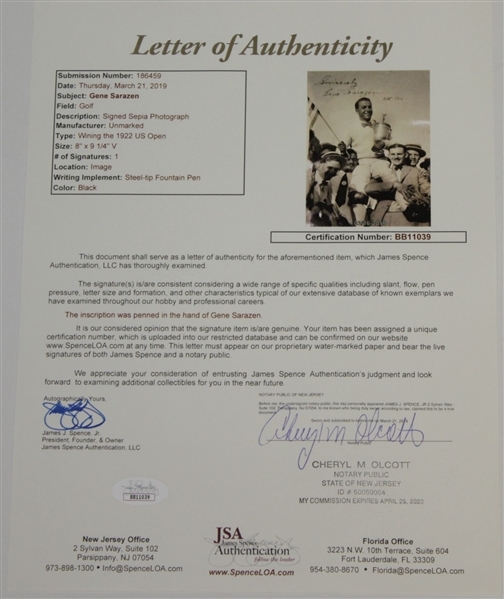 James Spence Authentication (JSA) has reviewed this signature, and their full letter of authenticity (BB11039) comes with this lot.